Discussion in 'iPhone and iPad Games' started by TouchArcade Bot, Aug 27, 2016. 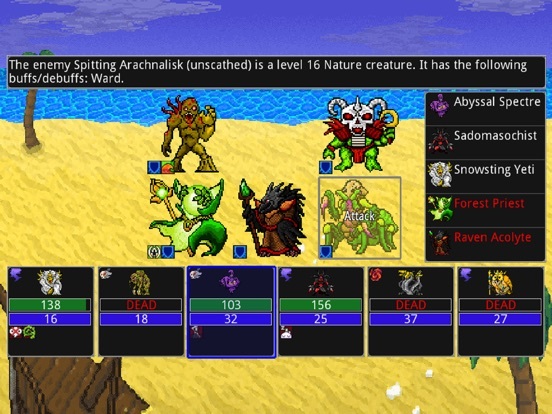 Siralim 2 is an old-school monster catching RPG. Summon and customize hundreds of creatures to fight for you as you battle your way through endless dungeons. Find rare treasure and use it to upgrade your castle, empower your creatures, craft powerful artifacts, learn new spells, and much more. Siralim 2 is an endless RPG. There's an infinite amount of content, and absolutely no limits or level caps of any kind. 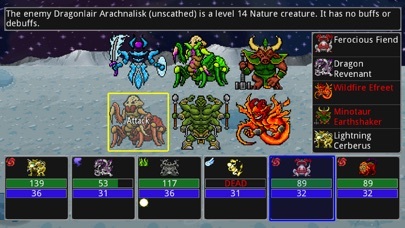 A list of the game's main features can be found below: - Summon nearly 600 unique creatures to fight for you. 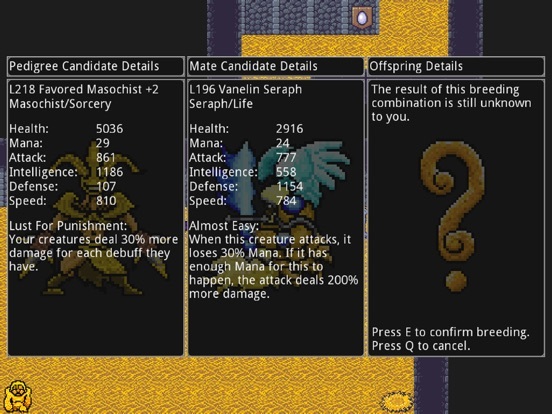 Each creature has its own unique abilities. 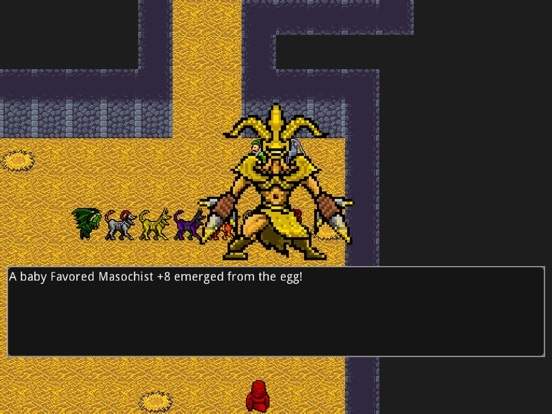 - Breed your creatures to make them lay eggs. The offspring inherits attributes from its parents! 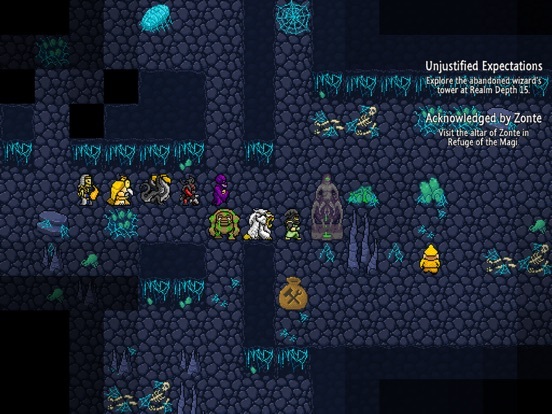 - Use your creatures to fight your way through randomly generated dungeons and complete randomized quests. - Equip your creatures with spells. 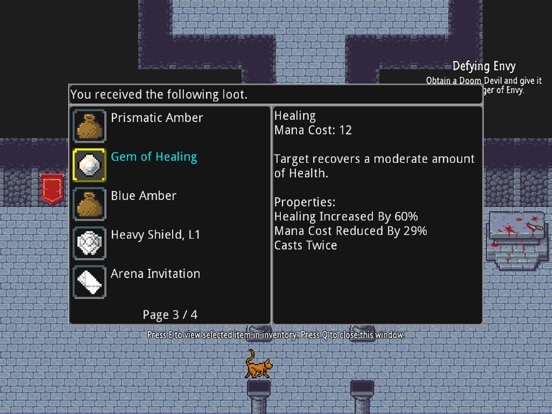 Spells can be found with randomly generated properties that change the way they behave in battle. - Craft and customize equipment for your creatures with the help of over 700 different crafting materials. - Upgrade your castle to unlock new rooms, NPCs, quests, and more! - Tons of side content - gamble with the dwarves, fight in the battle arena, study in the library, cook a meal, entertain the riddle dwarves, and much more. 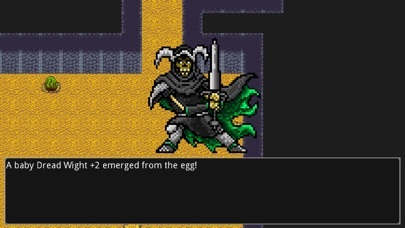 - An endless RPG - there are no level caps, no inventory space limits, and no true end to the game. Difficulty scales as high as you want. - Cross-platform cloud saving allows you to play the same save file on multiple different devices and platforms. - All IAPs are cosmetic only, and are obtainable just by playing the game - Siralim 2 is not pay-to-win in any way! 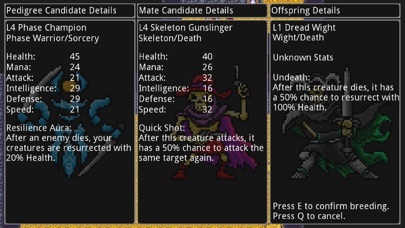 Note: you do not need to play the first Siralim RPG in order to enjoy Siralim 2. They are two very different games! I loved the first and this one looks even better ! Thanks for starting this thread, Milotorou! I'm excited to see what everyone thinks about Siralim 2. I'll stay pretty active in this thread and ensure that any bugs or other issues are sorted out as quickly as possible. It's christmas. Oh my god. Instabuy. More instant than dark soul 3. 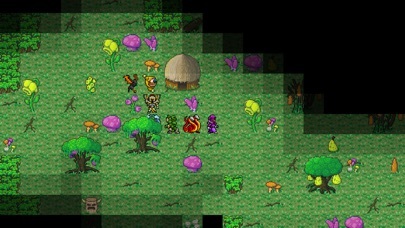 2 hours game time in Siralim 2. 150+ hours game time in Siralim. Combat is now way faster and more fun and no longer simply spamming a button to forward throu menus. Monsters now have, in addition to their unique ability, spell slots. Basically... Find a spell gem and plug it in and that monster has an additional attack (til it runs out of mana). This makes customizing and synergizing easier, more diverse, and much more rewarding both in and out of combat. 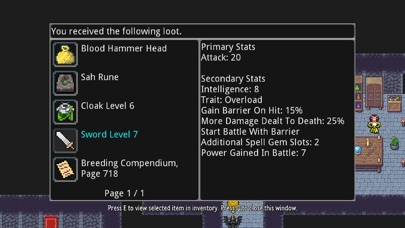 Artifacts are still there for further min/maxing as is a rune slot of some sort. Information is readily available but not overwhelming. Forgot what that thing is or which buff did what? Just select 'Library' from the pause menu and well organized reference lists are right there. Even the post battle loot screen is fast and well organized. Home Castle is easier to traverse, being a bit smaller and much more convenient. NPC's no longer blab on for hours and make you walk back and forth 5 feet over and over. Content... Soooo much more content both in the familiar game systems and in the new ones that have been added that I've hardly even begun to explore. Fantastic game with great appeal to lovers of RPG... Monster collection/hunting... Roguelike/lites... Strategy... Adventure. If you liked the first one this should be an insta buy. If you didn't like the first... This is so well polished it may just change your mind. Great game! Thank you Thylacine! To use my favorite quote (thank you Metalcasket) MOTHER OF CHOCOLATE!! What a week this has been. Loved the first one, bought this one without hesitation. Can't wait to dive in. Thanks for the comments and first impressions so far, everyone! @Exuare: Nope, I am from the US. Is there a touch screen interface? I really struggled with the buttons and tiny text in the first game. Text is easy to read on my 6s Plus, had no problem with the first game on my 5s either. Theres only 2 buttons as well and the game has 0 action sequences so i think it works fine. Any controller support? I'm buying either way, but foregoing the touch controls for my Nimbus when playing on my iPad would be pretty sweet. After reading reviews on Steam, I am REALLY excited to get this one! Looks like a nice change of pace to some of the stuff I have been playing lately.. There is gamepad support, but with so many gamepads available it's difficult to say which ones work and which don't. Thanks! I'll give it a shot and report back here. Super excited to dig in! Excellent. Much improved. I too found the first daunting, but really enjoying this one. Agree with all the positive comments on battles and organization of information. Pacing seems much improved. Nice work. I've been eyeballing this on Steam. Now it's on iOS! Geez!! This will have to fall into my future purchases as I'm officially down to less than a dollar credit. Looks fantastic however.